If you’re a fan of salted caramel anything, you’re sure to like this! 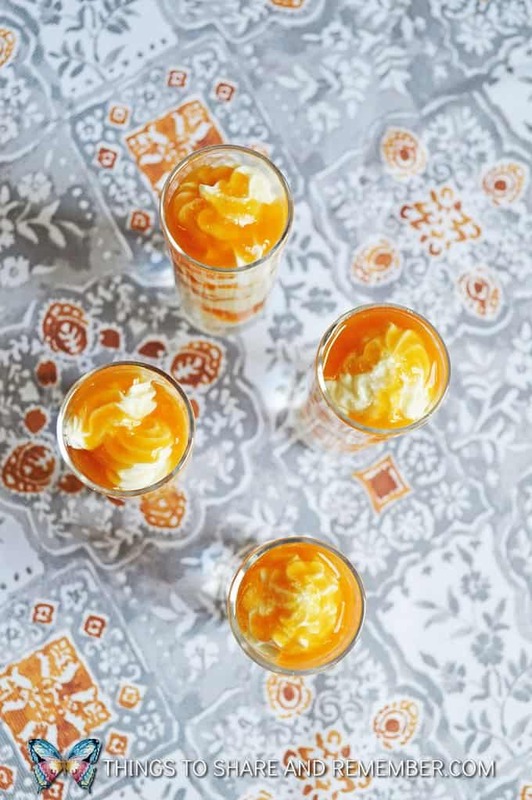 Salted Caramel Cheesecake Shooters are the perfect make-ahead dessert for holiday gatherings. Individually prepared desserts seem extra special. 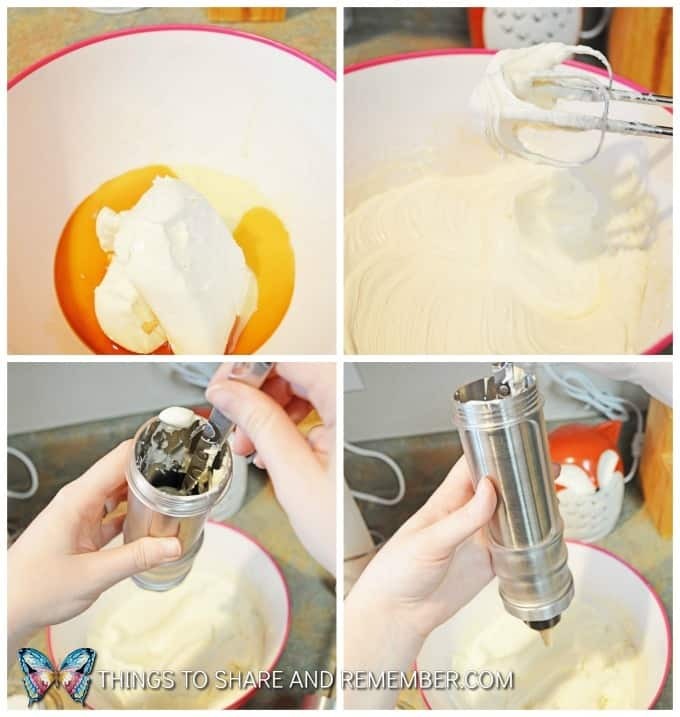 In a large bowl, add cream cheese, sweetened condensed milk, vanilla, and lemon juice. Mix together with your mixer on medium speed until mixed well. Spoon Cheesecake mixture into your dessert decorator or an icing piping bag with whatever icing tip you have on hand. 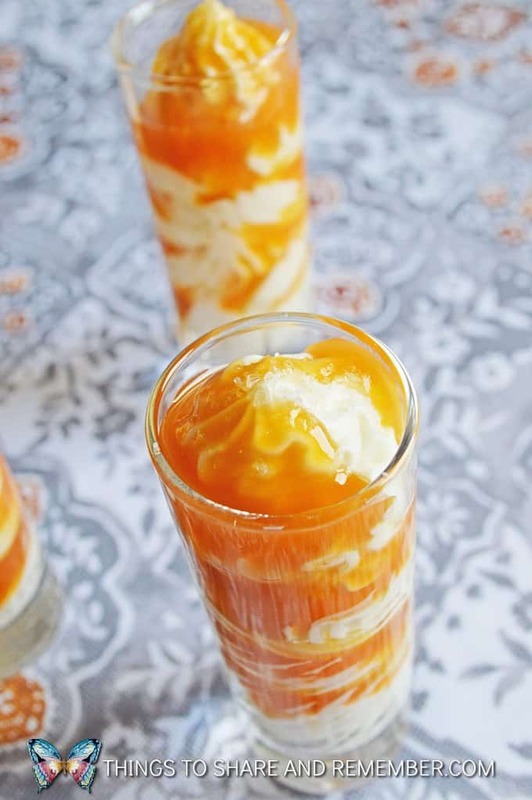 Pipe cheesecake into a shot glass, alternating with caramel sauce to create layers. Top with a pinch of coarse sea salt. 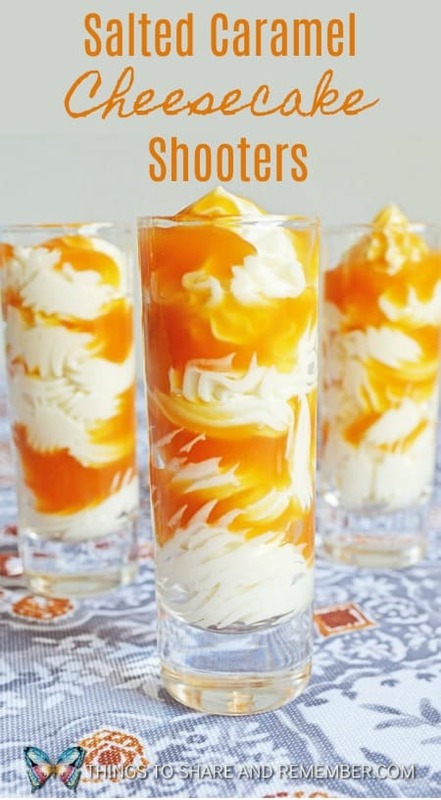 The dessert decorator makes this dessert look extra special but you can just spoon the mixture into the glass as well. Yum! 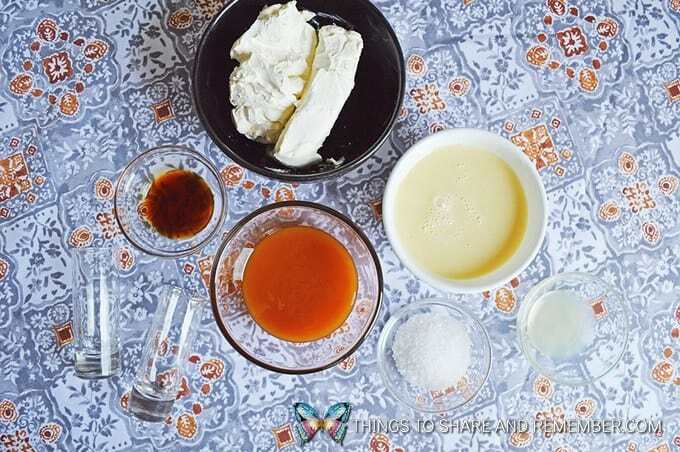 In a large bowl, add cream cheese, sweetened condensed milk, vanilla, and lemon juice. Mix together with your mixer on medium speed until mixed well. Spoon Cheesecake mixture into your dessert decorator or an icing piping bag with whatever icing tip you have on hand. 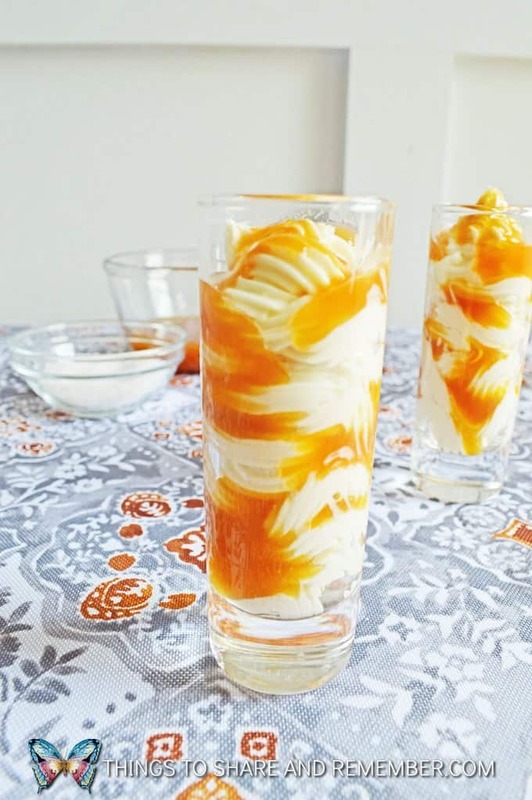 Pipe cheesecake into a shot glass, alternating with caramel sauce to create layers. Top with a pinch of coarse sea salt.